Are you interested in finding ways to avoid electricity use on your property? There are many ways to do this depending on your needs. 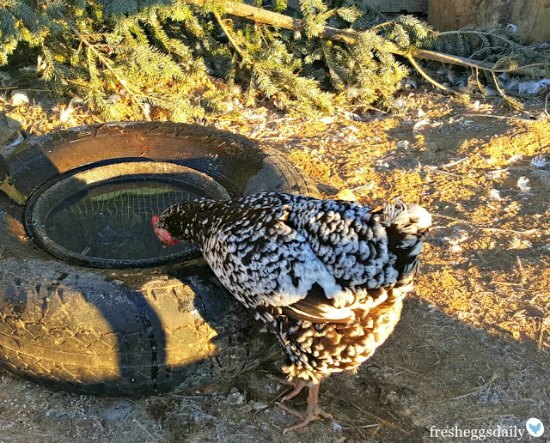 If you are raising chickens and live in cold areas, then you might be interested in a method to keep your chickens water from freezing. Raising chickens in the winter might be a challenge as there are many things you need to do. You need to make sure they are kept warm and have a fresh supply of water. When no electricity is available or you do not want to use any, then finding a way to keep your chickens water from freezing is crucial. You are using the heat of the sun to keep your chickens water from freezing. An old tire will be the key to this particular method. Just make sure that you have a water tub that will fit inside the tire.